MR Direct Topmount Granite Composite Kitchen Sinks Contemporary / Granite Composite / 33" x 22" x 10 3/4" / T812-W / N/A / 10 3/4"
Contemporary / Granite Composite / 33" x 22" x 10 3/4" / T812-W / N/A / 10 3/4"
The TruGranite T812-White equal, double bowl, low-divide, topmount sink is made from a granite composite material that is comprised of 80% Quartzite and 20% Acrylic. The T812-White is stain, scratch, and heat resistant up to 550 degrees. The smooth non-porous surface gives the sink anti-bacterial properties, leaving nowhere for bacteria to thrive. 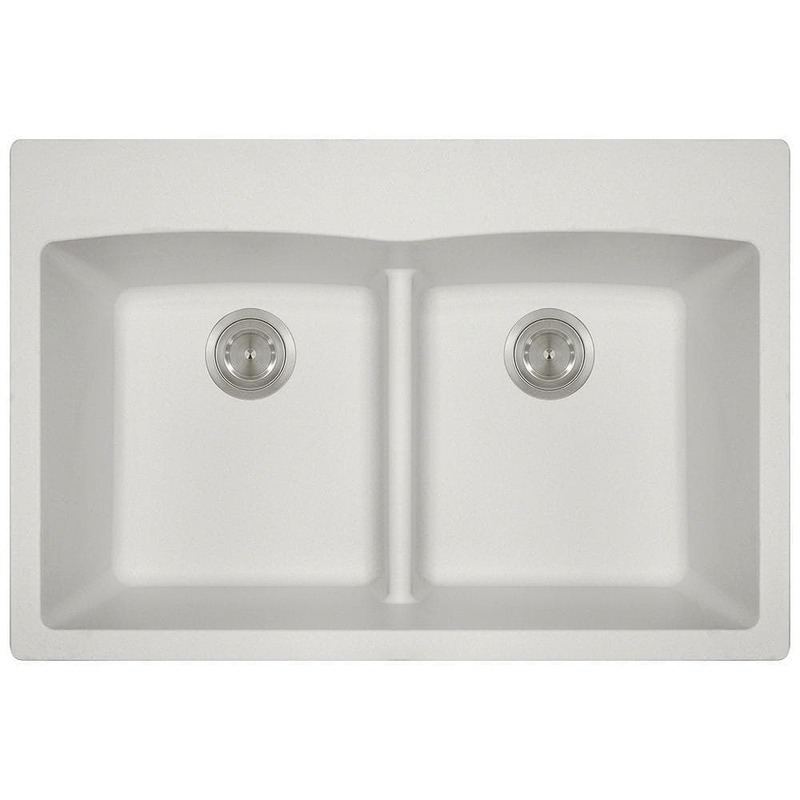 The overall dimensions of the sink are 33" x 22" x 10 3/4" and a 36" minimum cabinet size is required. The sink features a low divide and multiple punch-out faucet holes. As always, our TruGranite sinks are covered under a limited lifetime warranty for as long as you own the sink.